Every day Nelson Mandela dies a score of times in our newsroom. Twitter, that Ted Bundy of social media, has killed off the former South African president more times than anyone else. But it always gets to resurrect him in the next retweet. The more sudden deaths come from obscure overseas newspapers that state life support machines have been switched off but attribute this scoop to no one. It makes for strange times. The seemingly more credible rumours fuel minor panics in the newsroom. Reporters gathering around TV terminals, trying to read something from the laconic utterances of official spokespeople and spin doctors. Waiting for that statement that will end an era and bring in a time of deep sadness. But it doesn’t come. A message saying he is still stable is enough to kill the panic and bring relief. 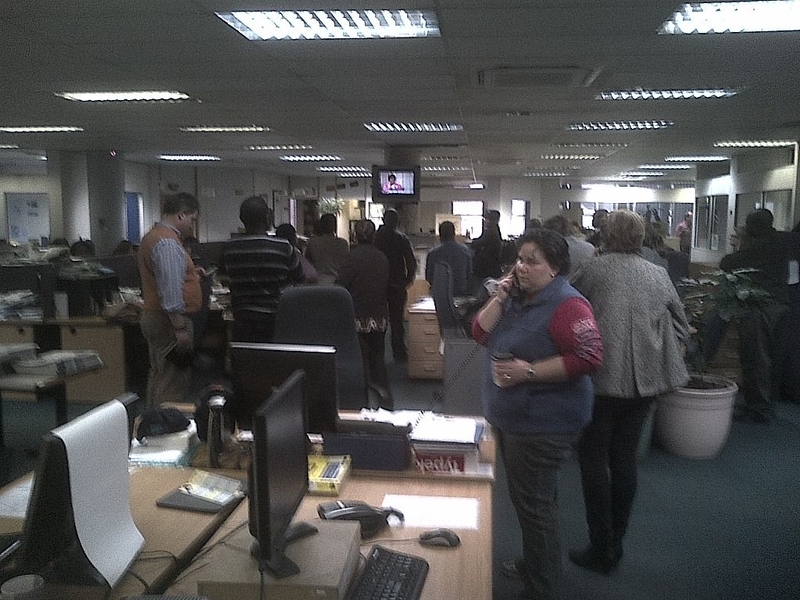 Then it is back to a normal newsroom, or what normal is in these times. This entry was posted in journalism, stories behind the news, Uncategorized and tagged Mandela, Nelson Mandela, Newsroom. Bookmark the permalink.